The artist’s table is related to other still life paintings by Scauflaire, such as Harlequin at the table, and Still life with three oranges. 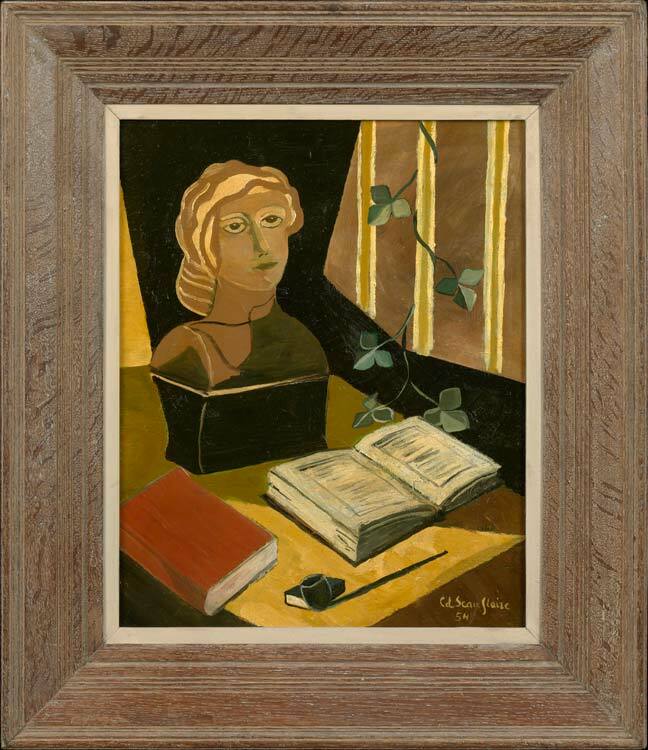 All three works share with still life paintings by Braque the representation of objects on a table within a carefully depicted interior; both artists reproduce details such as wallpaper, plants, statues and books, fruit, pipes, pitchers and plates. Scauflaire’s style is not so radically cubist as Braque’s, and he retains the simplified curving forms of Picasso’s nudes for figures and statues. The result, as here, is less the attempt to portray objects from different angles and through time, but rather to present a contemporary symbolism, touched with the brooding significance we see in De Chirico’s work.